The American Veterinary Medical Association (AVMA) conducted review of prior research from many different nations spanning four decades. 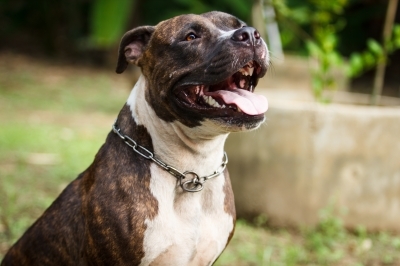 The organization found that breed-specific legislation, which often takes the form of a Pit Bull ban, does not prevent dog bites. The AVMA concluded that “. . . it has not been demonstrated that breed-specific bans affect the rate or severity of bite injuries occurring in the community” (NCRC, 2012). In 2008, the Netherlands repealed its breed-specific legislation because it proved ineffective (Berkey, 2009). The government of Lower Saxony, Germany, adopted a breed-specific ban (Pit Bull Terriers and several other Terrier breeds, Rottweilers, and Dobermans) in 2000, but aggression testing found no differences between the maligned breeds and Golden Retrievers, which were not targeted by the ban (Schalke, 2009). Years after enacting breed-specific legislation, the County of Denver continues to have a higher rate of annual dog bite hospitalizations than nearly all other counties in the same state (NCRC, 2013b). Research conducted by Rosado et al. (2007) to assess the impact of breed-specific legislation in Spain found that it had no positive effects. A study of 36 Canadian municipalities also found breed-specific legislation to be useless for reducing dog bites (Clarke, 2009). Ontario’s 2005 breed-specific legislation, which led to the destruction of many Pit Bulls and Staffordshire Terriers that had never harmed anyone, also failed to reduce the dog bite rate (Peat, 2010). I was only able to find two studies that suggest benefits as a result of breed bans. One was Raghavan et al.’s (2013) study of breed-specific legislation in Winnipeg, Manitoba, which found a reduction in dog bites after the legislation was enacted. The other was Villalbi et al.’s (2010) Catalonian study. However, the latter included other regulations on dog ownership in addition to breed-specific legislation, so it’s impossible to tell which aspects of the new laws led to the reduction. Overall, the majority of research findings support the argument that it is abusive or neglectful owners rather than dog breeds that are the problem, and suggest that these bad owners will simply shift to other breeds if their preferred breeds are banned. Also, breed-specific legislation does not “address the fact that a dog of any breed can become dangerous when bred or trained to be aggressive” (Sacks et al., 2000, p. 840). Although breed-specific legislation has proven ineffective for reducing dog attacks in most cases, there is evidence that other strategies can be beneficial. Clarke (2009) notes that active enforcement of dog control ordinances has been a far more successful strategy for reducing dog bites than breed-specific legislation. This assertion is supported by the fact that U.S. cities such as New York; Baltimore; Washington, DC; and Philadelphia have achieved massive reductions in dog bites through measures that target owner responsibility, such as owner education; enforcement of licensing, leash, and anti-cruelty laws; and mandatory rabies vaccinations (Delise, 2009). See also What Causes Dogs to Attack?, Which Dog Breeds Are Most Likely to Attack?, and Are Pit Bulls More Likely to Attack Than Dogs of Other Breeds? For a full list of dog articles, see the main Dogs page. Berkey, J. (2009). Dog breed specific legislation: The cost to people, pets and veterinarians, and the damage to the human-animal bond. In Proceedings of the Annual Session of the AVMA, pp. 1-5. Clarke, N.M. (2009). A survey of urban Canadian animal control practices: The effect of enforcement and resourcing on the reported dog bite rate. Master’s Thesis, University of British Columbia. Delise, K. (2009). America’s blame game goes to the dogs. Out of the Cage, Spring 2008. National Canine Research Council (NCRC). (2013). Denver’s breed-specific legislation: Brutal, costly, and ineffective. NationalCanineResearchCouncil.com. Raghavan, M.; Martens, P.; Chateau, D.; & Burchill, C. (2013). Effectiveness of breed-specific legislation in decreasing the incidence of dog-bite injury hospitalisations in people in the Canadian province of Manitoba. Injury Prevention, 19(3), pp. 177-183. Rosado, B.; García-Belenguer, S.; León, M.; & Palacio, J. (2007). Spanish dangerous animals act: Effect on the epidemiology of dog bites. Journal of Veterinary Behavior, 2(5), pp. 166-174. Sacks, J.; Sinclair, L.; Gilchrist, J.; Golab, R.; & Lockwood, R. (2000). Breeds of dogs involved in fatal human attacks in the United States between 1979 and 1998. Journal of the American Veterinary Medical Association, 217, pp. 836-840. Schalke, E. (2009). Aggression and dogs “no significant difference found between breeds.” BestFriends.org. Villalbí, J.R.; Cleries, M.; Bouis, S.; Peracho, V.; Duran, J.; & Casas, C. (2010). Decline in hospitalisations due to dog bite injuries in Catalonia, 1997–2008. An effect of government regulation? Injury prevention, 16(6), pp. 408-410.